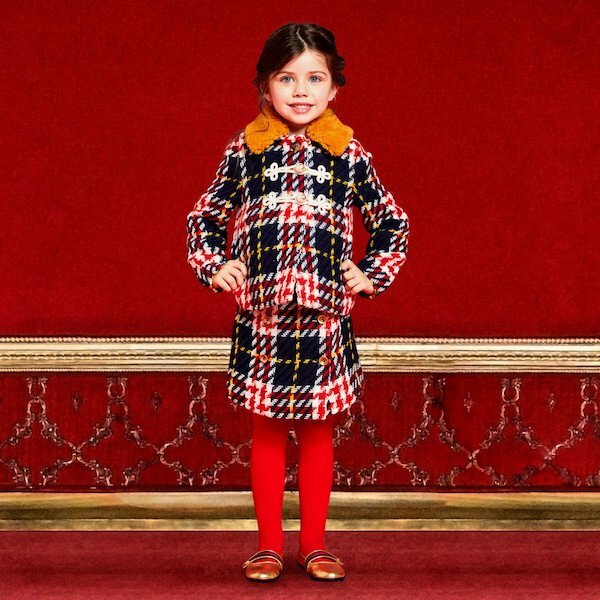 Love this GUCCI Girls Blue Bow Applique Dress for Fall Winter 2018-19. 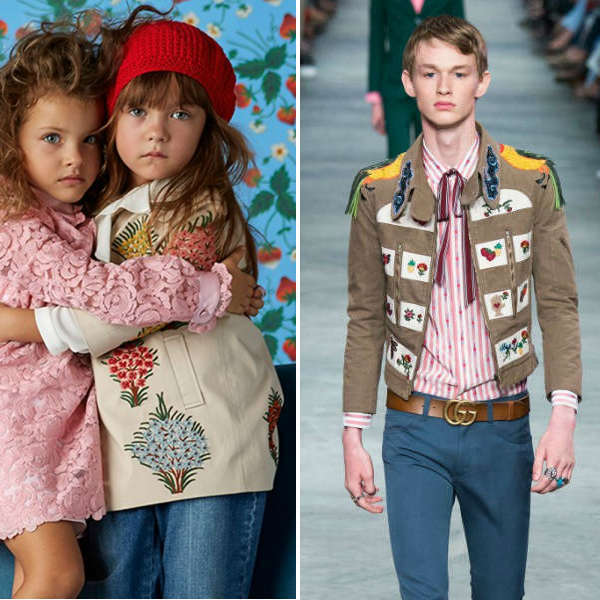 Italian fashion house Gucci, known for its luxury style, has designed this adorable Mommy & Me Look inspired by the Women’s Collection at Milan Fashion Week. Girls will look just like their mommies in a beautiful pale blue dress made in lightweight Oxford cotton by luxury Italian brand Gucci. In true Gucci style, it has bows appliquéd on the front with a pleated vent and contrasting white collar. Complete the look with a GUCCI houndstooth pattern cardigan logo sweater and shorts, green and red slip-on loafers, and GUCCI logo print animal style bag.